Strenuous and challenging yoga positions require comfortable and functional sportswear. You might find yourself wondering where exactly you can shop for cheap yoga clothes and equipment to make that every session less stressful. Shop for the best deals on cheap yoga essentials such as mats, clothes, socks, leggings, trousers and more. You can get up to 50% off the regular price when you make use of special offers and discount codes from MandM Direct, Amazon, Gearbest, Adidas, Sports Direct and boohoo. Free Bamboo Hoody with Your New Yoga Outfit. LENOVO YOGA Laptop - 22% Off! Stay calm and enjoy massive savings on cheap best yoga mats, blocks and accessories from your favourite UK retailers! Originated in Ancient India, yoga has been the ultimate practice of various disciplines, from spiritual and mental, all the way to physical. According to studies, yoga does not only gives you peace of mind but it also allows your body to release tension, which may be one of the reasons why almost half of the Brits prefer to go on a fitness getaway during holidays. Find the best deals for your yoga exercise here at Latest Deals. Our group of savvy bargain hunters are always on the lookout for the best money-saving offers on yoga accessories and essentials. Say goodbye to stressful price tags with the help of voucher codes, coupon codes, and discount codes our community have found and verified online. Take advantage of these amazing offers you can apply on your next yoga essential purchase from various UK retailers such as Decathlon, Mountain Warehouse, Amazon, Next, and Sports Direct. So if ever you’re feeling stressed, why not give yoga a try? Who knows? You might just find yourself falling in love to it. For superb relaxation experience, check the irresistible offers daily to get massive savings on almost anything here at Latest Deals. Mountain Warehouse. Mountain Warehouse holds just about everything that you need to start on your yoga journey. Not only does it have a good collection on yoga essentials, but they also offer surprisingly low offers of up to 75%. You can score a Serene Backpack with 20L capacity at just £14.99 instead of £59.99, Yoga Mat for just £4.99 instead of £19.99, and other cheap deals on their daily Clearance offers and seasonal sales. Mountain Warehouse proudly claims the spot of being the largest specialist outdoor retailer in the UK. Take advantage of their free delivery on orders over £50. Sports Direct. For various sporting outfits and must-haves like yoga blocks and mats, you are sure to find just the right item you’ve been looking for at UK’s biggest sporting retailer, Sports Direct. Be amazed with their yoga equipment range that includes price reductions of up to half price on yoga accessories, and even 70% on gym clothing for men, women, and kids. Amazon. Whether you are looking for the perfect yoga outfit that complements your body shape or yoga props like blocks and bricks, then you are sure to find plenty of options to choose from at Amazon’s wide yoga range. Be surprised with Amazon’s daily price reductions on your yoga must haves from top brands such as Yogamatters, JLL, TNP Accessories, Adidas, Timberbrother, and more. Find yoga blocks as low as 0.69. Keep the deal going by taking advantage of Amazon Prime’s exclusive benefits and free UK shipping. Next. 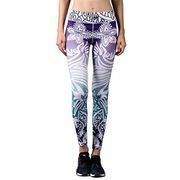 Stay fab and in style with Next’s wide collection of trendy sports leggings, yoga tights, and other fitness or yoga clothes from top brands such as Under Armour, Nike, Adidas, Adidas Originals, Reebok, Speedo, Hype, and more. Next takes part in retail events like Black Friday, End of Summer sale, and Easter Sale. It is during these times where you can expect massive savings that can potentially go over 90%. So if you want to go on a yoga haul without having to spend too much, wait for sales like those previously mentioned. You’ll be surprised of how much money you can save. Decathlon. Are you planning on setting up a yoga corner in your home? Get your yoga necessities from Decathlon. Find yoga mat, yoga block, bolster, clamping strap, non-slip towel, pad, quickdraw sling, rug, storage cover, and more. They have a wide yoga range where you can discover yoga mats and blocks starting at just £3.99. Enjoy their daily sales and price drops on select items and get to push your money-saving game further by visiting the Clearance section of their website. Yoga mat should be your primary must have on your yoga essentials list. Looking for a quality yoga mat is vital for your yoga practice. If ever you go on your ‘yoga mat search’, always consider its thickness and adhesiveness (to help you hold on to your yoga positions). Yoga pants or shorts. Depending on what you are more comfortable in, you can either choose to wear a pair of shorts or pants manufactured specifically for yoga practice. A quick-drying, breathable, durable, and stretchable pair is ideal. Avoid using tight pants or shorts that will just limit your movement and mobility. Yoga blocks and bricks. Push your body to perform effectively in yoga by adding props to your exercise. You’ll be amazed of how it can help you get into poses accurately and easily. Yoga shirt or tank tops. Do away of all the possible distractions on your yoga sessions, including loose shirts that can get in your way when holding a certain pose. It is ideal to choose a tank top or shirt that can hold up on various workouts. In addition, pick clothing with breathable fabric. Every yoga-goer should always put that in mind. Gym Towel. Any exercise can make you sweat if performed properly, and yoga is not an exception. Super absorbent pieces are highly recommended. We all know for a fact that yoga can do tremendous things to our body. Its benefits run from our mental state radiating to our physical attributes. So If you have not found the motivation just yet to get on your mats, here are some of the pros you can get from yoga that you should know, and always remember. Mental Health Enhancement. 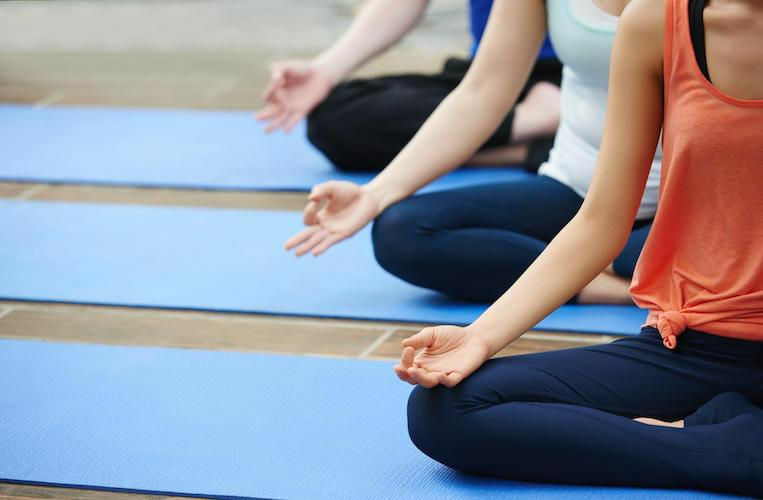 A study revolving yoga has been conducted in a renowned medical center, and it suggests that people who suffers from schizophrenia, insomnia, and other psychiatric problems such as depression and anxiety attacks can highly benefit from yoga. Yoga can also increase serotonin levels. Serotonin is also known as our happy hormones, and everybody needs an extra boost of it. Helps with fertility. There are many factors that are considered to be the main reasons as to why some women cannot easily conceive a child. Maybe –just, maybe, a bit of yoga can help you. Research shows that yoga allows better blood flow to your reproductive organs thus the major improvements of both organ function and hormone function. It also allows you to be one with various energetic channels and relax, which means it decreases stress. Improved production of oxytocin is also a huge plus on this take. Say goodbye to Insomnia. Eventually, you’ll arrive to a point where you no longer find it hard to get a good night’s sleep after sticking to yoga. Yoga helps you attain overall calmness, from a calm mind to a calm body. Memory Boost. Yoga cannot only make you look fab and fresh, but it also has beneficial effects to your brain. Yoga helps us do away of physical tensions and mental stress giving us the ability to think clearer and way more organised. Best Alternative for Almost Anything. Yoga can be of great help to people who suffers from PTSD, multiple sclerosis, arthritis, asthma, heart disease, and back pain. Painkillers can do major harm to your body if taken on a regular basis. We only have one body, and we need to take care of it. Therefore, finding healthier alternatives like yoga can be a pretty wise idea rather than sticking to rely on painkillers.